The aroma of smoked chicken, hovering over the culinary Department, attracts even those who do not want to eat. This dish, despite the lack of benefits for the body, very tasty. It can be prepared at home, if to get a small smokehouse and learn the subtleties of cooking. Before you smoke the chicken, you need to attend to the acquisition of the smokehouse. Is perfect for the old beeks that have previously been used for sterilization of syringes. If this device find not possible, use any thick-walled and capacious pan, you do not mind will convert it into a smoker. Before Smoking wash the carcass, RUB it with a mixture of salt, seasonings and liquid smoke. You can use curry, black pepper, garlic. It is best to leave the chicken in the fridge for a day, but pickled in the morning the carcass will turn out equally delicious in the evening. Place on the bottom of the smokehouse, a layer of sawdust several inches thick, it put a grid on which place a chicken. Cover the pan with a lid and put on fire. It is best to put on the cover to steam not to come out of the pan. As cargo, you can use any gravity, from the small pancake from dumbbells to wrench. Cook the chicken for at least 2 hours, cooking time depends on the size of the carcass. If you want to reduce, it is necessary to pre-bake the carcass in half an hour and then smoke it. Home smoked chicken turns out so flavorful thanks to the sawdust, in which it is smoked. So to take care of their purchase in advance. It is best to take the sawdust from the fruit trees, they give the most delicate scent. Sometimes sawdust for Smoking add the dry vine, which makes the aroma even more attractive. 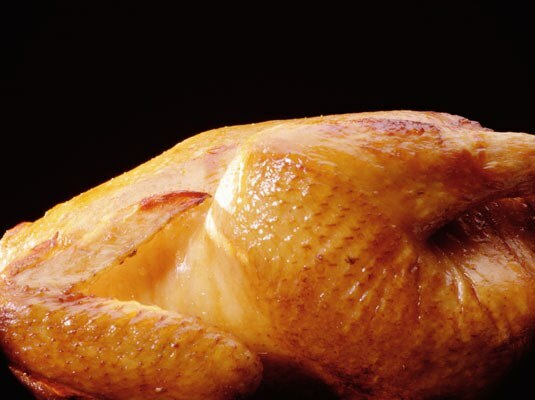 It is believed that smoked chicken is prepared without problems in a normal apartment. But in practice, even the sealed container still steaming. Therefore it is best to smoke the products on a small electric stove made in the air. The apartment this place could be a balcony. This allows not to fear for the safety of the Wallpaper and ceiling in the kitchen.